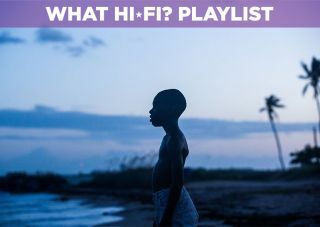 Moonlight - Blu-ray review | What Hi-Fi? Moonlight is likely to feature in film trivia questions as the Best Picture winner that had two goes at bagging the Best Picture award - despite the hilarious faux pas which led to La La Land initially being announced as Best Picture last year, Moonlight eventually emerged as a deserved winner. In a year where there was plenty of debate over racial politics, director Barry Jenkins crafted a film about the African American experience that's a meditative, tender, coming of age story. Moonlight is split into three sections, and each one focuses on a period of Chiron's life. The first is titled 'Little', and sees Chiron played by newcomer Alex R. Hibbert. The second chapter, 'Chrion', sees the boy become a teenager (Ashton Sanders) and the third, titled 'Black', follows Chiron as a grown man (played by Trevante Rhodes). Moonlight may at a glance seem simplistic and slow - a black version of Boyhood, if you will - but in actuality it's a contemplative, complex characterisation of a black gay youth that unfolds at its own pace, allowing the viewer a look into Chiron's personal life. The story is made up of Chiron's many struggles, whether it's acceptance from his peers, coping with his drug-addicted mother or dealing with his own confusion about his sexual identity. It's that story of someone trying to find his place in the world but finding obstacles at every turn. There are tender and tragic moments that form the spine of the film, but director Barry Jenkins never overstates them and, if anything, his style (for the most part) is unobtrusive. The acting is uniformly great. The three actors who play Chiron - despite not bearing any physical resemblance to each other - manage to embody the same conflicted character throughout. Naomie Harris (Spectre) as Chiron's mother Paula gets the most showy role, but it's multi-faceted, one full of anger, contempt and a real sense of sadness too. She is fantastic. Mahershala Ali (House of Cards) is Juan, a compassionate drug dealer who's also a father figure for Chiron, delivers a great performance: subtle and full of heart despite being the drug dealer who fuels Paula's addiction. When Ali disappears from the film, his presence is sorely missed. The actors who play Kevin (Jaden Piner, Jharrel Jerome and Andre Holland) all have great chemistry with their Chiron counterparts. We shouldn't forget Janelle Monáe who, like a lot of performers in the film, is quietly excellent and believable in her time on screen. Moonlight is no summer blockbuster, but that doesn't mean its A/V credentials are not up to scratch. The image is a clean, bright one (thanks to the Miami setting). As part of the film's style the contrast has been dialled up, so whites are very white, and in some cases there's a little loss of detail. It does, however, bring out the rich, textured skin tones of the cast, which look terrific. Black levels are very deep in some scenes. We also note some softness to the outer edges of the image - it looks delberate, and adds to the film's stylistic look. The DTS-HD MA 5.1 soundtrack floats through the surrounds. A scene set in the ocean is immersive as the waves lap and undulate, creating an enveloping soundscape. There's plenty of background noise to pick up, whether it's snippets of conversations, cars, music or the hum of insects. Along with the handheld camerawork, the soundtrack makes you feel as if you're there in the scene. Dialogue is prioritised in the centre, and we have no trouble hearing what is being said. Nicholas Britell's distinctive score flits through the surrounds, heightening the film's melancholic mood. It's a frequently quiet track, but one that allows the listener to soak up the details present in each scene. With Oscar-winning films, there's often a debate over whether it'll be remembered in years to come. We'd say Moonlight ought to be -it's a film that places an emphasis on character and identity for an emotionally rewarding experience. The A/V credentials are very good, faithfully replicating Barry Jenkins' intentions for the film. Moonlight is one of the best films of 2017, a beautifully observed effort with some great performances. It's absolutely worth seeing catching on a big screen.